Once you have made the decision to undergo facial plastic surgery, the first step in the process is to find a qualified plastic surgeon. In your search, you will find two types of “plastic surgeons” who specialize in this area. There are surgeons that are “board certified” by the American Board of Plastic Surgery, and there are surgeons that are “board certified” by the American Board of Facial Plastic and Reconstructive Surgery. Both types of “certification” can offer expertise in this type of surgery; the big question is which of them makes the best choice for you. One of the most important things to remember in your search for the right plastic surgeon is that your board certified surgeon has the experience in performing your particular facial plastic surgery procedure. Multiple medical studies have shown that the number of times a surgeon has performed the procedure and the surgeon’s experience are the most important factors to consider. Experienced surgeons have fewer complications and the best surgical results. Although surgery is never perfect, a simple start to obtaining good results is to make sure your surgeon is board certified and has experience. Like many other things you choose based on what you see, your eyes will go a long way towards helping you find the right plastic surgeon. Ask each doctor you are considering to see a portfolio of their work that includes both before and after photographs of their patients. This will let you see the quality of their work and help you make your final decision. 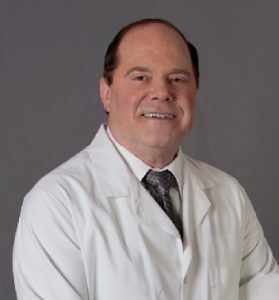 Dr. Taylor is a double board certified plastic surgeon with experience that has performed thousands of facial procedures. Contact us at 210-305-5797 to schedule your free initial consultation. During this time, Dr. Taylor will examine you and discuss your facial plastic surgery options.